Hi! I'm Kathryn Estry, a designer here at MyMemories, and I'm starting my second round of episodes, From A to Z. My goal is to give you a new idea with each letter so that you'll never be at a loss as to what to scrap or how to make your pages look amazing. Luckily for me, I have a brilliant Creative Team, and the inspiration layouts I use in this series were made by the talented ladies on my team. When your taking photos, don't forget dear old dad! If he's the photographer in the family, you most certainly need to take that camera away from him and get some shots with him in them. 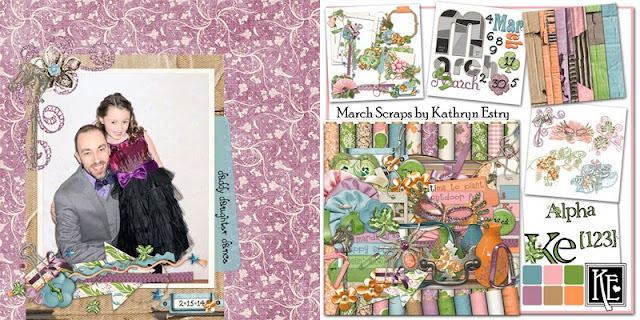 Then get busy scrapping! 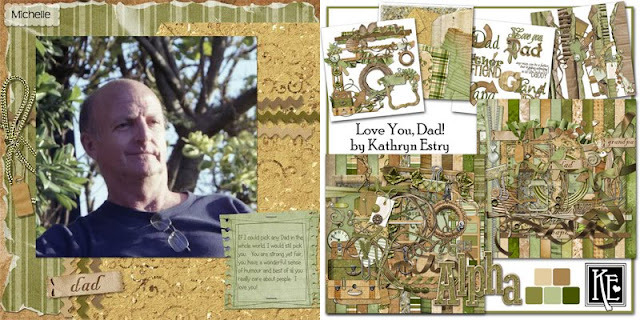 There are so many wonderful scrap kits in the store that would be perfect for scrapping Dad or any of the other special men in your life. Here are some sample "Dad" pages by the ladies on my CT. Thanks to Anita, Liz, and Michelle! 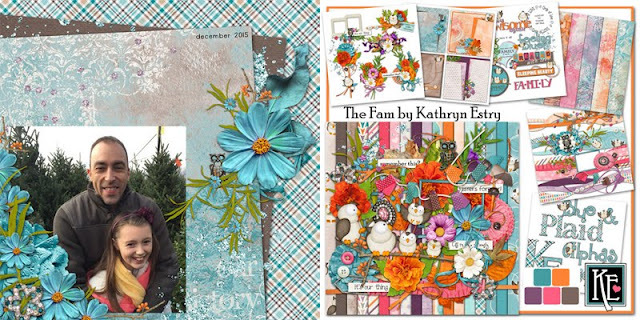 Here's a sweet page by Anita using my Studio Kathryn Collection. 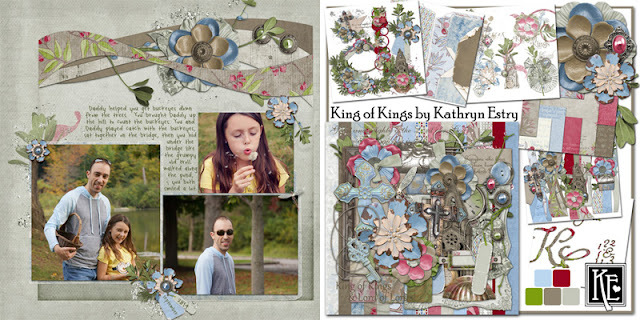 The next three are by Liz using King of Kings, March Scraps, and The Fam. You can see the love Michelle has for her father in this page using Love You, Dad!